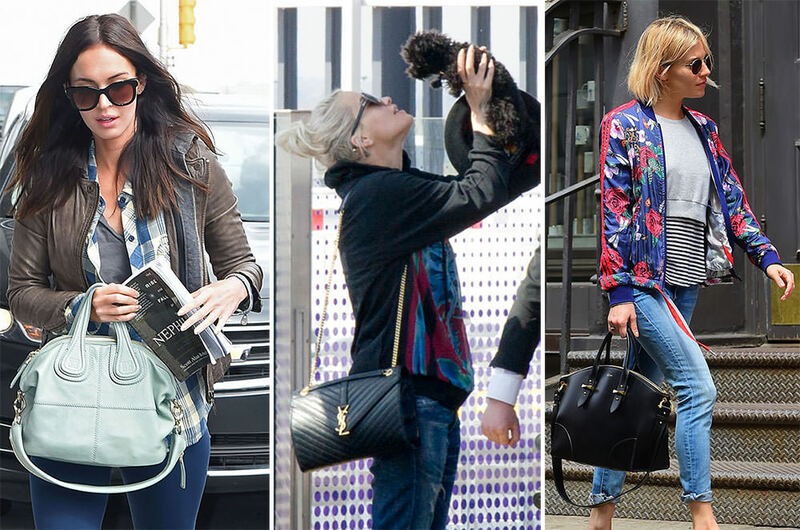 Per usual, roughly half the celebuverse insists on only carrying Chanel and Hermès bags today, and the other half mixes it up with choice picks from Chloé, Saint Laurent, Alexander McQueen and more. Also, if you were going to have lunch with Bradley Cooper, what would you wear? Mentally assemble your outfit and then lay it out in your mind. This will be relevant later. Can you believe Swedish model Elsa Hosk was only made an official Victoria's Secret "Contract Angel" last week? She's been modeling for the brand for several years in various capacities, but now she is finally a VS Angel on paper. Here's Her Angelness, strolling around in NYC with a supple, purple Balenciaga bag. Here's Kelly Osbourne, heading to dinner at Craig's in Beverly Hills with her fam. Her Chanel Multiplication Tote pairs quite nicely with her very fetching, all-around Chanel-inspired look. Megan Fox recently appeared (as if by magic) at JFK, carrying a pretty little aqua Givenchy Nightingale. I don't feel like we've seen Megan in public since TMNT came out last summer. As it turns out, Megan is currently busy making a second Teenage Ninja Turtles movie. Here's Padma Lakshmi, heading out of her apartment in NYC with a luxe Hermès Birkin. As a rule, Padma carries almost exclusively Hermès or Chanel. Rita Ora was recently spotted canoodling with her dog Cher the Bear at the departures gate at Heathrow airport. She's carrying a flashy Saint Laurent Monogramme Shoulder Bag. Rose Byrne was seen outside her hotel in NYC with a Chloé Baylee that looks stuffed to the gills. Rose is probably in town doing press for her new flick, Adult Beginners, but it seems she's been in almost every movie that has come out in 2015, so it's hard to say. 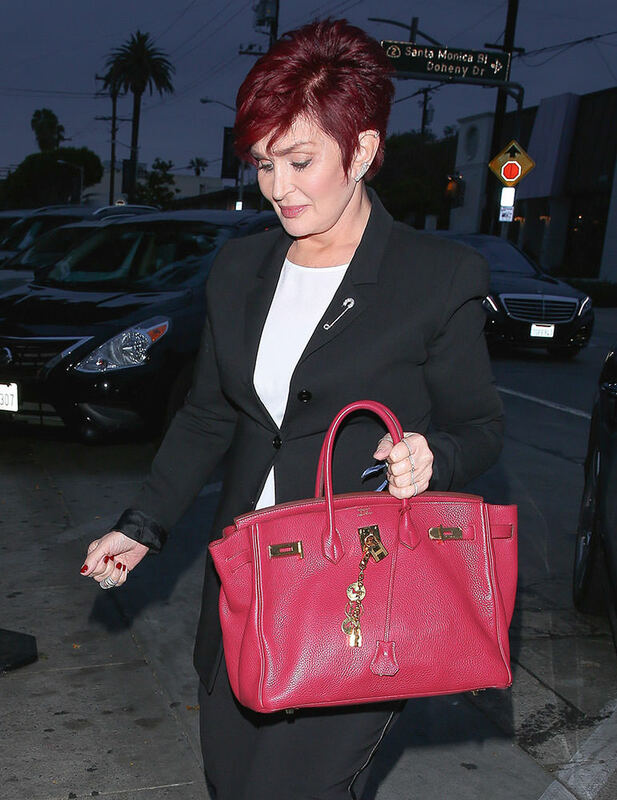 Here's Sharon Osbourne, heading into join Kelly at family dinner night at Craig's with a red Hermès Birkin. I'm sort of shocked she's not carrying Chanel, frankly. Maybe Kelly phoned ahead to give a full outfit report?